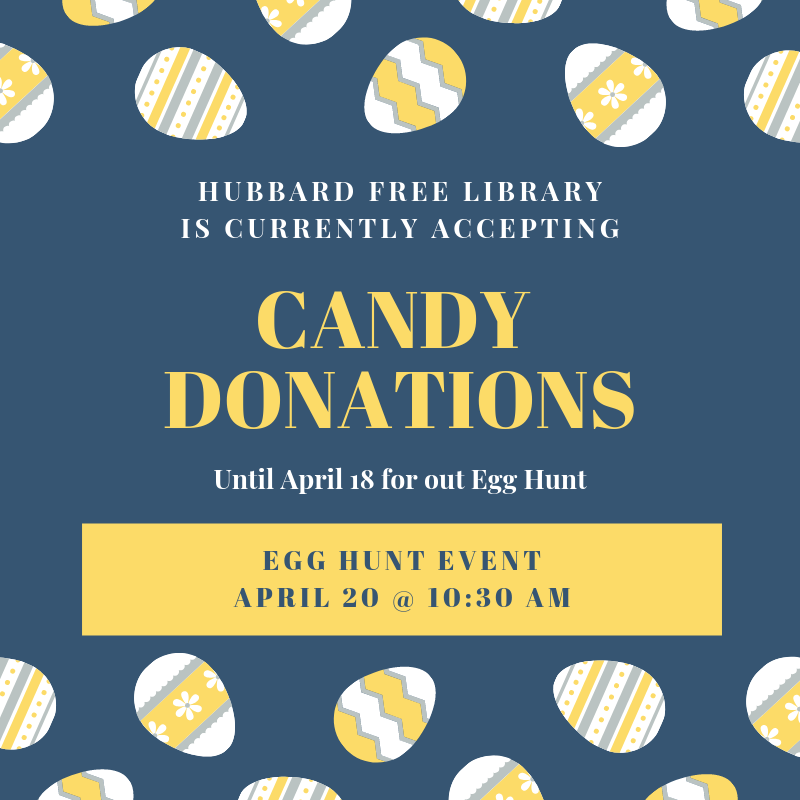 Hubbard Free Library is currently accepting candy donations for our upcoming egg hunt! Candy donations will be accepted until closing time on April 18. The Egg Hunt event will be happening on April 20 at 10:30 AM. © 2019 Hubbard Free Llibrary. All Rights Reserved.